A free of charge full ESAVS Master Study Program is offered in connection with a paid internship at a German Small Animal Hospital. Communication skills in German language are required. Please visit www.esavs-master.org for more information about the Master Study Program and contact k.hoos@esavs.org for further details of this Scholarship-Grant. Improve your professional qualifications in your chosen veterinary disciplines and advance your career prospects in the future. 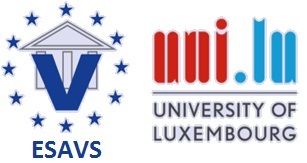 The European School for Advanced Veterinary Studies (ESAVS) is pleased to announce new courses for the year 2014.